The official presentation of the team travel kit was made last night by joint sponsors CSW Insurance & Halo Assist. Craig Williamson (CSW) & Tony Parris (Halo Assist) took to the pitch before kick off and presented Gretna Captain Alan Inglis with the new track suits which the team wear for all home & away games. 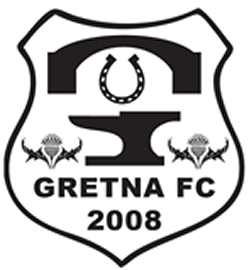 Gretna narrowly missed out in an exciting match where both sides committed to attacking, entertaining football that thrilled the fans at Raydale on Wednesday night. 2008 opened the scoring with a cheeky Brandon Longcake flick past McGinley in the Kilby goal. But East Kilbride quickly struck back and a hat trick from Jack Smith pushed them ahead. They went further ahead when Mark Blakey made it 4-1 before Dean Smith eased the Raydale side’s blushes with a goal just before half time. Sean Winter extended the visitors lead in the 55th minute before the hoops launched a thrilling fight back with goals from Longcake and Anderson. The match could have been squared if McGinley had not made a superb penalty save low down on his left. Disappointment for Gretna but certainly one which had the fans buzzing. 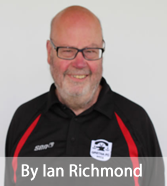 Luckily the Raydale side have a quick chance to bounce back with a visit from Stirling University to Raydale on Saturday.